The Japanese first came to San Diego in the late 19th century. San Diego was not San Francisco or Los Angeles with their larger immigrant populations and there was no real source of Japanese food. It was not really a problem as they had gotten used to eating at least some Chinese food on the ships that had brought them from Japan as well as in the ports of San Francisco and Los Angeles. They had also discovered American food which although it contained much more meat than they were used to in Japan, was invitingly different. Our story could really end right there, but the Japanese immigrants and their descendants didn’t quite give up on the food of their ancestors. As we will see in our new exhibition, while food is an important part of a person’s cultural identity, immigrants will gradually absorb over time many of the eating habits of their adopted country. The Japanese American community is no exception. However, while they have embraced the vast variety of food available in America, they have also maintained traditions, family recipes and food preferences that reflect their Japanese heritage. In addition, they have seen Japanese cuisine become a major part of mainstream food culture, something that would have been inconceivable to those first Issei in San Diego. How did early immigrants make mochi and moreover, what is mochi? Was sake available during Prohibition? Curious about what food was served in the internment camps? How do you make tofu? Come and get the answers to these questions as well as see food-related artifacts from throughout our history including souvenirs from early Japanese-owned restaurants and community members’ family recipes. Imagine attending school surrounded by fences and overlooked by guard towers. For those children of Japanese descent detained in internment camps during WWII, this was their reality. Did it deter them from learning? How different were their schools days to the students outside the fence? How was it even possible to get an education when they arrived to no schools, no teachers and no books? For most of those evacuated from San Diego County, their initial destination was the Assembly Center at Santa Anita Racetrack in Arcadia, Pasadena, 130 miles north of San Diego. As no provision had been made for the children of school age to continue their education, the detainees set about organizing something that would at least begin the process. By the end of the first week, a 40-member staff of volunteer teachers had been pulled together, many of them college graduates, and “recreational” classes were being held for over 250 children in the recreation hall. After the evacuation of Santa Anita Assembly Center started four months later, many of the families evacuated from San Diego were sent to an internment camp in Arizona. Upon their arrival at the Poston camp near Parker, Arizona, the internees found that they had to start all over again when it came to schools and education for their children. This was a major challenge because, as was the case in Santa Anita, they had no supplies and no teachers. However, after albeit a very challenging start, they still retained strength of will and a passion to succeed. Even though they had arrived with nothing, they still had their ability to improvise and make the best of what they had. Come and see our new exhibition that highlights what school was like for those students and how they overcame the restrictions of their location to continue their education. 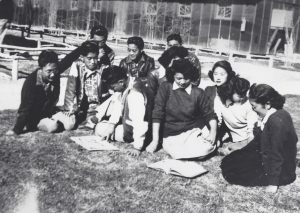 The exhibition focused on the experiences of local Japanese Americans and their families who avoided confinement in the government-run “relocation camps” during World War II, unlike the majority of their neighbors 75 years ago who found themselves behind barbed wire for the duration of the war. Among the San Diegans featured were Ruth Takahashi Voorhies, Dr. Terry Tanaka, John Maruyama, Reiko Furukawa Maruyama, Kajiro Oyama, Les Tachiki, Tom Segawa, Jihachiro Otsuka, Mas Tsuida, Tosh Miyashita, James Yamate, Tosh Hasegawa, Dr. Shigeru Hara, Min Sakamoto, Mike Ishikawa and Charles Ogino. 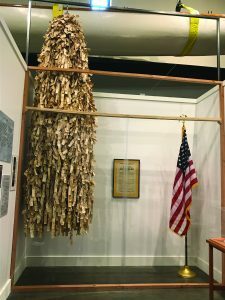 Also included in the display were the recreated name tags of Poston Camps I, II and III residents which were originally part of artist Wendy Maruyama’s THE TAG PROJECT, a sculptural representation of the roughly 120,000 individuals held in all ten of the WWII camps. The majority of San Diego’s 2,000 Nikkei (Americans of Japanese descent) who were removed from the West Coast spent the duration of the war in the Poston, Arizona facilities. Following the Tag Project’s recent successful multi-year tour of the United States, Maruyama donated the Poston tags to JAHSSD. The Issei (first generation Japanese immigrants) who arrived in San Diego County found jobs in places where they didn’t need to speak English to succeed. After working on railroad construction and in the salt ponds at the southern end of San Diego Bay, many Issei dreamed of owning land, but instead found themselves doing other manual labor working as fishermen, farmers and gardeners. Gardening became a viable job opportunity near the turn of the 20th Century when Japanese-style gardens were introduced at expositions and World Fairs throughout the country. Fascination and popularity for these gardens grew during a time of limited job opportunities. Anti-Asian prejudice and discriminatory legislation prevented many Japanese from owning land and seeking professions outside of manual labor. With no boss and little startup cash or English proficiency required, many Issei took to gardening as a way to make a living. Though these pioneer Issei came from diverse backgrounds, Japanese immigrants with their Eastern philosophy were stereotyped as having a natural talent for all things plants and landscaping. Many did not have prior experience or professional background in landscaping, but they used this stereotype as an opportunity to enter the profession, improve their skills, and grow their businesses. In the aftermath of WWII, there still remained anti-Japanese sentiment. Nikkei (people of Japanese ancestry) who returned to the West Coast after their removal and internment encountered continuing questions about loyalty and trust. The American-citizen sons (Nisei generation) of the first generation of gardeners sometimes had trouble finding jobs that took advantage of their education and experience. There are many stories of college-educated Japanese American men who became gardeners, not because they wanted to, but because it was all that was available to them. Faced again with limited opportunities, the Issei fathers and Nisei sons took to what they knew and either resumed or began gardening after the war. With little financial resources, many started without any tools, borrowing from their clients onsite. Some didn’t have much more than a push mower, a rake, and a cloth tarpaulin to haul away clippings. They carried these items from job to job, and learned by trial and error how to care for the clients’ property and plants. As their business grew, they could afford the tools, equipment and vehicles needed to develop their businesses and grow their clientele. Workdays were nearly 7 days a week and also strenuous, lasting from dawn to dusk. 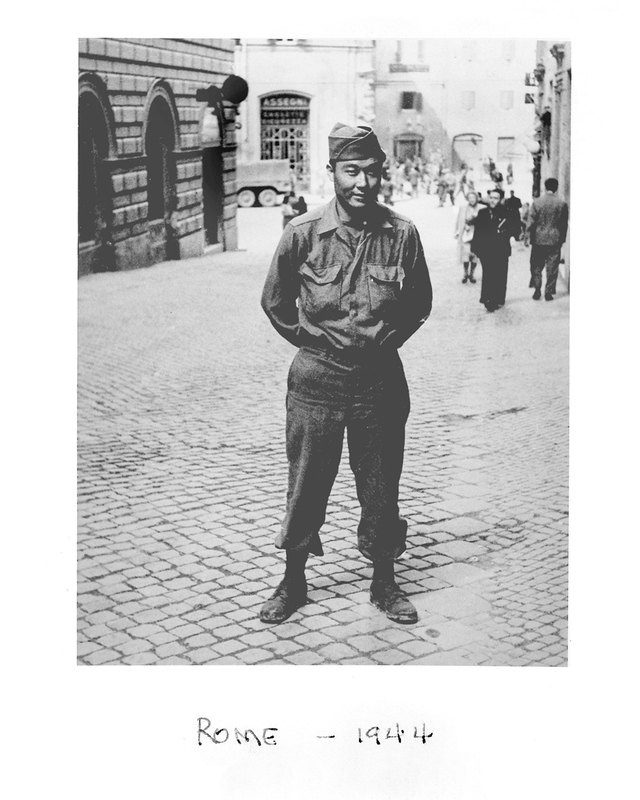 The American-born Nisei sons were sometimes pressed into service on the weekends, spending their time off from school assisting their fathers. Gardening became a professionalized business for many Japanese Americans after the war. Associations and partnerships with auxiliary businesses like nurseries were formed to protect their livelihood and garner respect. Vibrant social networks developed and a sense of community was formed. Having earned a reputation for meticulous and thorough work, Japanese gardeners became a status symbol for many Caucasian American families. This self-made profession reached its pinnacle in the post-war years and was a golden age for Japanese gardening in America. Today, Japanese gardeners are a disappearing breed. Labor-intensive styles of gardening have become devalued due to increasingly limited homeowner budgets and time. For many of the original Japanese gardeners, gardening was never a profession to aspire to, but a means for living. With established later generations of Japanese Americans moving on to higher paying occupations, new immigrants have entered the gardening profession and filled the need for lower cost labor as the Japanese did years ago. This exhibit is dedicated to those Nikkei gardeners who labored with their hands, made sacrifices of family time so that their children would have a better future, and who through their profession helped garner a lasting respect and understanding between the Japanese and American cultures. 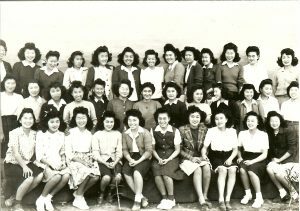 On Monday, March 27, 2017, the MiraCosta College Library (Oceanside Campus) will launch a month-long exhibit entitled Uncommon Ground: Behind the Barbed Wire – a 75th Remembrance of Japanese-American Internment. This multi-faceted and moving exhibition using artifacts on loan from JAHSSD will explore the aftermath of Executive Order 9066, in which President Roosevelt called for the evacuation and internment of 120,000 Japanese and Japanese Americans. The Oceanside Library and Information Hub will host the major part of this exhibition, with accompanying exhibits at the San Elijo campus library and the Community Learning Center. 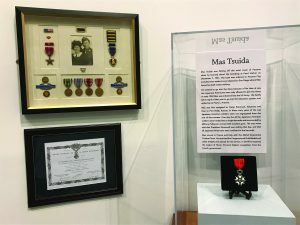 Meghan Kanegaye, a student at Francis Parker School, developed this exhibit and collected the artifacts to tell the story of Bert M. Tanaka, a Japanese American, who graduated from San Diego High School, returned to Hawaii in June 1941 and enlisted in the US Army. Bert was a member of the famous all Japanese-American 442nd Regimental Combat Team and received a battlefield promotion from Sergeant to 2LT and was awarded the Silver Star. Learn about Bert’s story at our museum and see the Congressional Gold Medal presented to the surviving members from that unit. The Japanese American Historical Society of San Diego just opened (Oct 29) a new art exhibition titled: Heritage: Artwork by San Diego’s Japanese American Community. It contains objects as contemporary as sculpture by Allied Artists members Wendy Maruyama and Dot Kimura, to pieces nearing 100 years old. The exhibition illustrates how art created by Japanese Americans has changed over the years. Some pieces incorporate ancient Japanese themes, and others reflect that some early community members studied with well-known San Diego artists like Alfred Mitchell and Charles Reiffel.